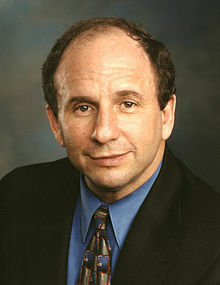 Paul David Wellstone (July 21, 1944 – October 25, 2002) was an American academic and politician who represented Minnesota in the United States Senate from 1991 until he was killed in a plane crash in Eveleth, Minnesota in 2002. A member of the Democratic Farmer-Labor Party, Wellstone was a leader of the progressive wing of the national Democratic Party. This page was last changed on 22 April 2019, at 17:54.